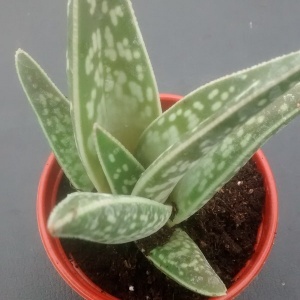 Partridge breast aloe. One of the best known South African aloes growing up to 12inches by 9inches wide. Good tough houseplant, rose-pink flowers.